One of the selling point would be the ideal location of Evergreen Laurel Hotel. It is located at one of the hot spot in Penang, Gurney Drive. Taking an relaxing walk along Gurney would be just great. 10minutes walking distance to the popular Gurney Plaza and also many nice eateries along Gurney Drive. The newly refurbished Cafe Laurel located at the ground floor of Evergreen Laurel Hotel is much cleaner and cozier compare to last time. It can caters up to 220 pax at the outlet with spacious seatings. I was rather surprised to find that the outlet was quite busy, it is still very popular and Cafe Laurel also attracted a lot of people with their dining promotions. Roasted Station and Grilling Station featuring the fresh catches of the day. Going on Friday / Saturday will be just great for seafood lovers. Seafood On Ice features mussels, flower crabs and some blanched prawns. The sizes and quality of the seafood are rather satisfying and worth for the money you paid. How can we not have Sashimi for Japanese buffet? Cafe Laurel offers Sashimi on the menu, just order from the chef and they will slice your chosen meat on the spot. Photo features Yellow Tail, Maguro (Tuna), Tako (Octopus) and Fresh Salmon. All were fresh and delighting. Here some some of the appetizers like handrolls, salads, and also sashimi. It is rather happy to see so many offerings even only at the range of appetizers. Has to say that the buffet here are quite pocket friendly. Definitely a good place to spend your gathering or some special occasions here. 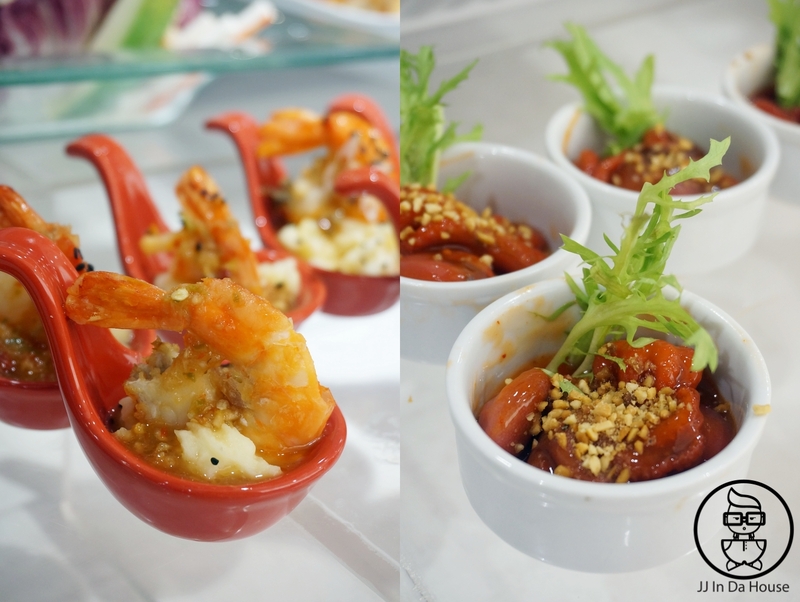 Canape food are also available on the spread, personally love the Japanese Baby Tako very much. I can have as much as I want at Cafe Laurel! 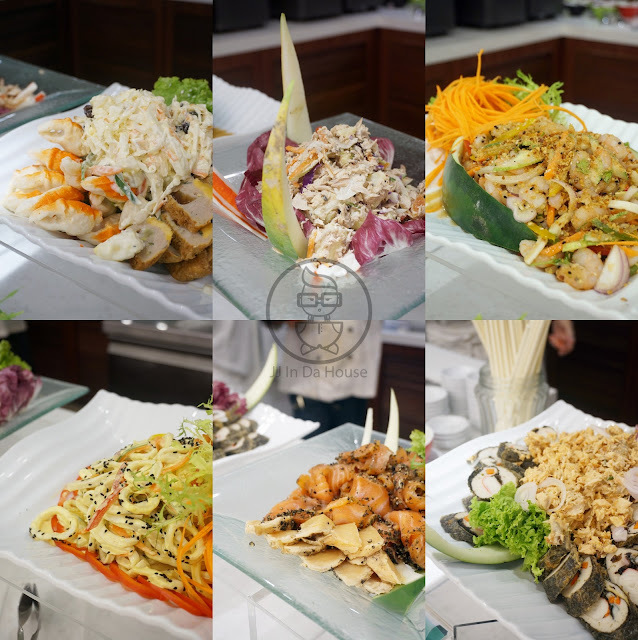 The selections of main dishes are wide ranging from vegetables to meats to seafood featuring local, western and Japanese dishes. 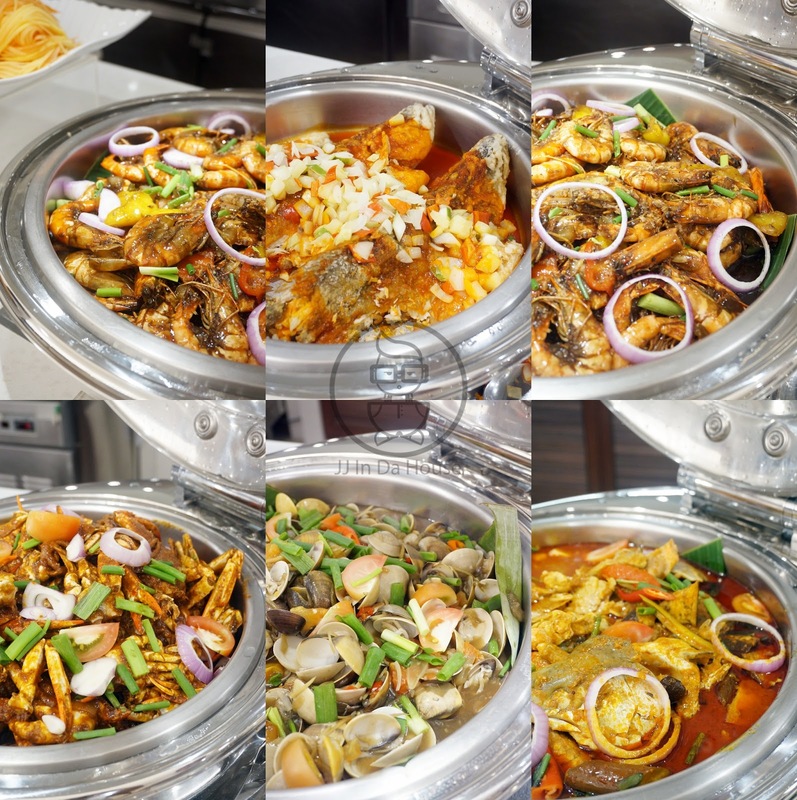 They have some of the signature Malay dishes like curry fish head, chilli crabs, assam prawns and Chinese dishes like sweet & sour fishes and ginger onion clams. All were rather satisfying and the seafood are really fresh especially the clam. Has to say that the size of the clams are really big compared to what we can find out there. Butter Seafood Rice, Mee Mamak Goreng and Curry Cuttlefish are available too. 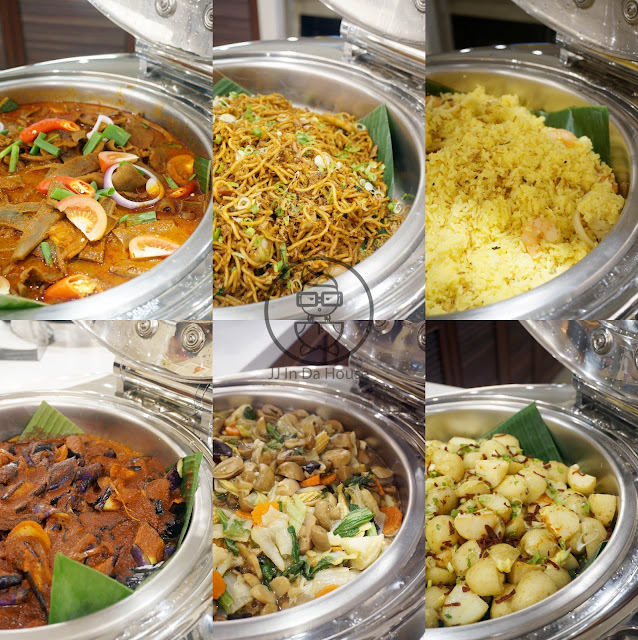 And if you are a vegetarian, some of the dishes like Mixed Vegetables, Dhall Curry and Grilled Potatoes are also available on the spread. One of the highlight of the night would be the Grilling Station that features some fresh seafoods. We have slipper lobsters, fresh prawns and also scallops available at the station. Just order from the chef and they will serve you a plate that consist of all 3 types of seafood. Standing by the counter and waiting for it could be really tempting, the smell from the grilling seafood will definitely make you hungry. They have also added some curry powder to make the seafood slight to taste. Rather delicious if you must know. And all the seafoods were really fresh. Nothing much to complain about the quality of it. 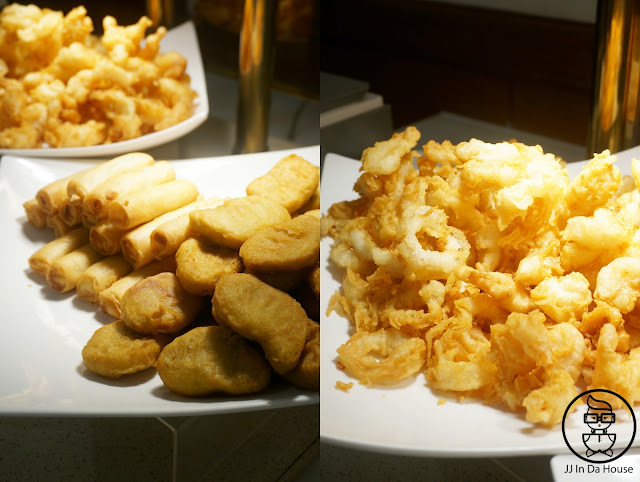 Fried Corner features Nuggets, Poh Piah, Fried Squids and Fried Fish Fillet. There were also a few types of dipping sauces to go with all the fried food. 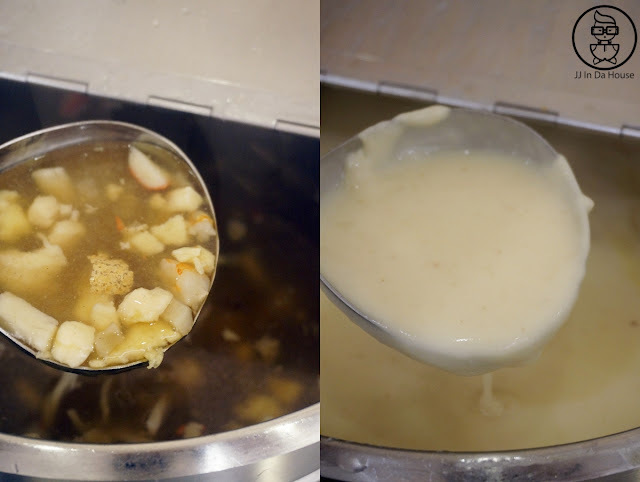 Mixed Seafood Soup that has sea cucumber, crab meat, prawns and fishes in it and another soup is the Creamy Mushroom Soup. Another highlight of the buffet would be another Grilling Station that features all the fresh catches of the day. Cafe Laurel will bring in some of the freshest fishes that they got and you can just order from the counter. Not forget to mention that these fishes are not cheap in the wet market! Just choose what kind of fishes you want, and the chef will prepare for you on the spot. 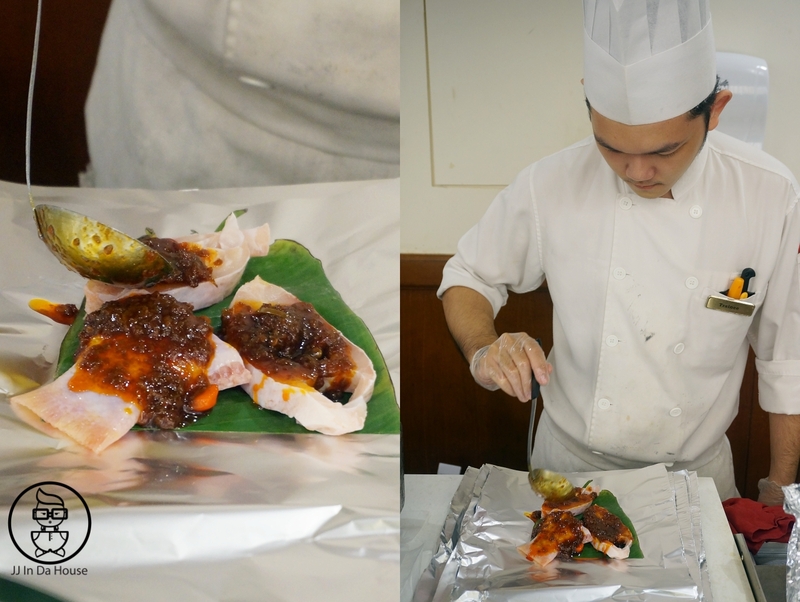 Note: Do let the chef know if you prefer less spiciness for your fishes, it can be real hot. Noodle stations features 3 types of pasta, everything will be cooked for you upon order. 3 types of sauces available to go with the pasta, you can also custom made on which sauce to go with which pasta and what ingredients to cook with it. One more action stalls that feature one of the best Penang hawker food, Char Koay Teow! 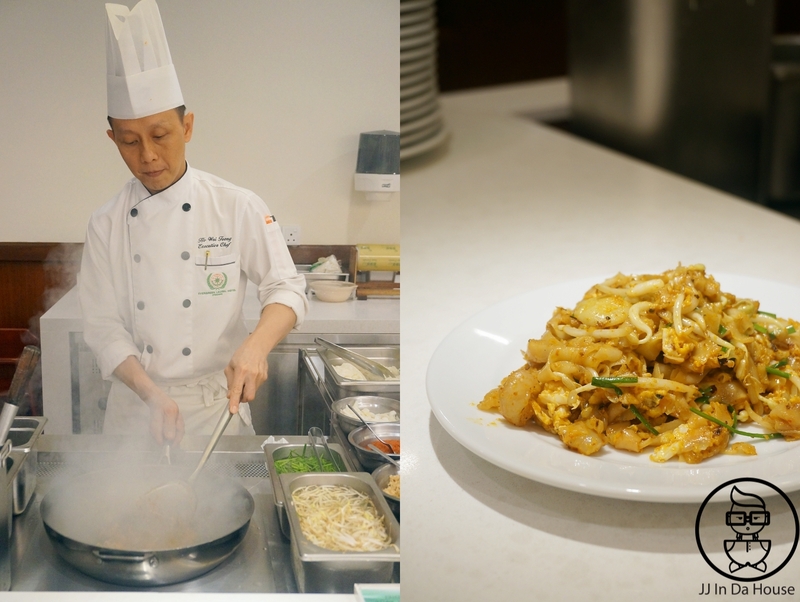 Cafe Laurel uses electronic induction cooker to fry the koay teow but the taste of the koay teow was not bad at all. It was rather delectable for a PORK-FREE Char Koay Teow. 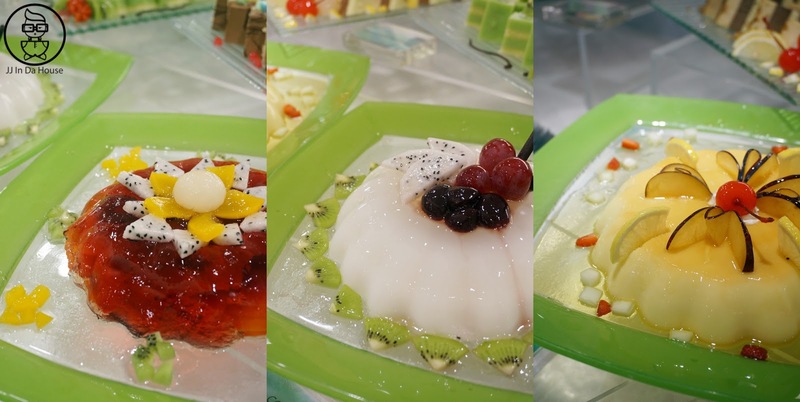 Some of the desserts available are Assorted Puddings. Cakes are also available on the dessert corner. There were so many types of cakes that made me rather confused of which one to eat. I can't be eating them all or I am going to gain extra kgs. 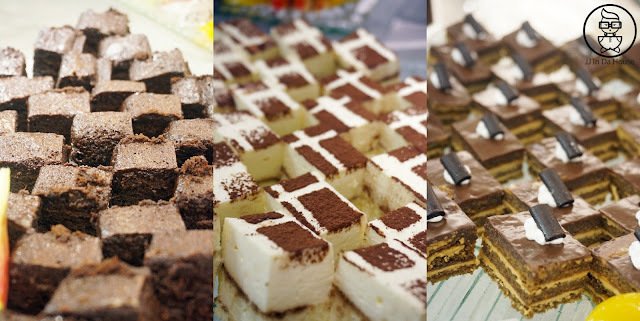 My favourite chocolate cakes, tiramisu and opera cakes. Some of the Assorted Fresh Fruits. They were really good as it was chilled in the chiller and just nice to have it after meal. 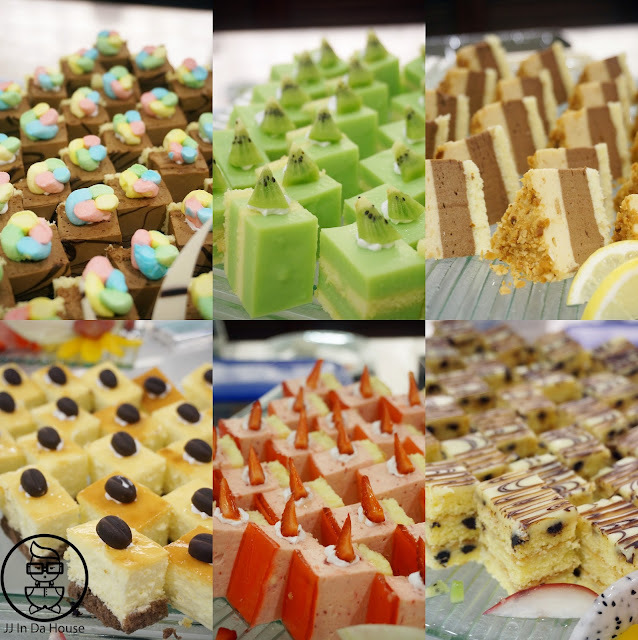 Dessert corner features about 20 types of desserts, rather excited and happy to see so many offerings despite paying at such affordable prices. Some of the dishes I've tried. I didn't manage to try all of the dishes as they are really too much. I was literally too full after having all the food that I've took from the spread. My favourite would be the chilli crab and the clams. Look at the size of the clams! What about a feast like this on a weekend? The hot & spicy grilled fishes! I was literally sweating after having it. Too hot for me! 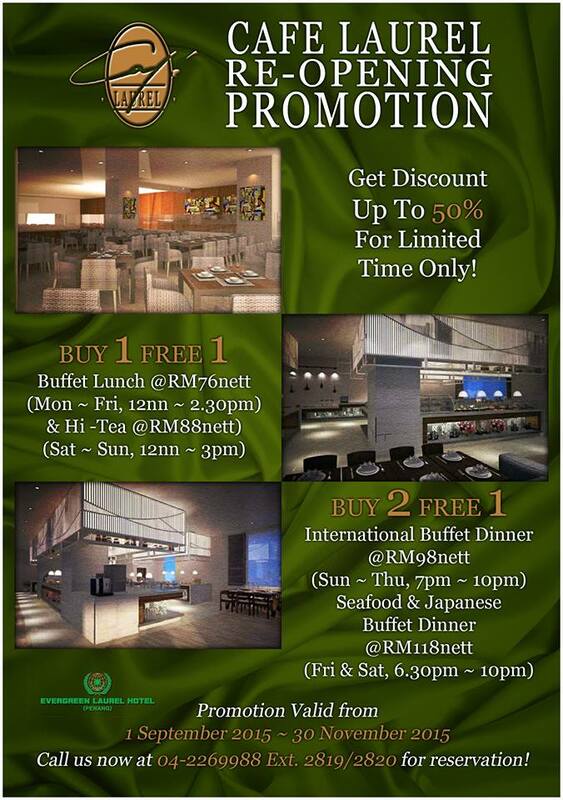 Please refer to below for the pricing and promotions of buffets offered by Cafe Laurel @ Evergreen Laurel Hotel Penang. Do note that the date of the promotions has extended to end of December 2015! Do grab the "Buy 1 Free 1" and "Buy 2 Free 1" promotions while it is still available!